Eddie has done something troublesome. He's painted Oscar purple (as kids do!) and he doesn't know what he's going to do. How will he revert Oscar's snowy white coat before mum and dad find out? He tries a bubble bath. No joy. Sister Mia helps with a good brushing. The purple doesn't budge. They try a car wash (very tickly, but still purple). The local fireman even help out with the hose--nope. Oscar remains a rather fetching shade of mauve. Can Eddie come up with a brilliant idea? This is a sweet story that uses rhythm and flow very well, and incorporates characters and scenes that will enchant children. As Eddie's adventure with Oscar unfolds, kids will be avidly projecting 'what happens next' - a technique that lends drama and high entertainment value. Jade Fang's gorgeous illustrations add charm and humour to the storyline, and the charming surprise ending will have kids calling for a repeat read. 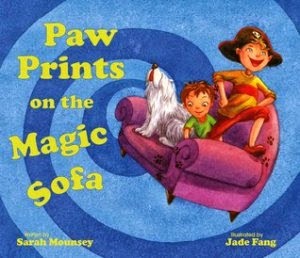 A great book to read aloud to kids in group settings. 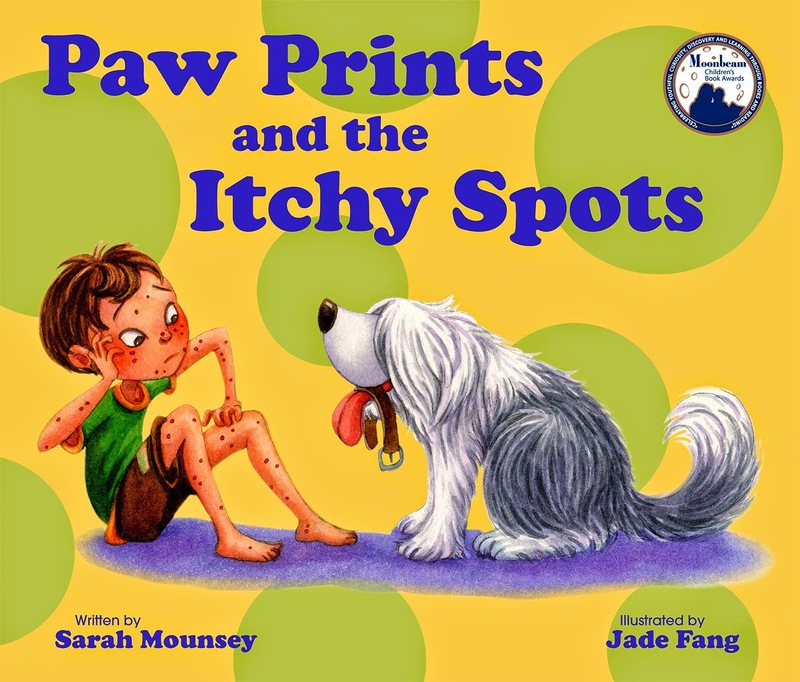 Sarah Mounsey is the author and publisher of the award-winning Paw Prints series--books she describes as 'ridiculous reality'. Sarah has self-published the titles during her time in Singapore, and met with wonderful success on her publishing journey. She hopes to continue the series when she eventually returns home to Australia. You can buy her books here.